So I imported my script...where is it? It's lying right behind your Visual Scroll. No, really. 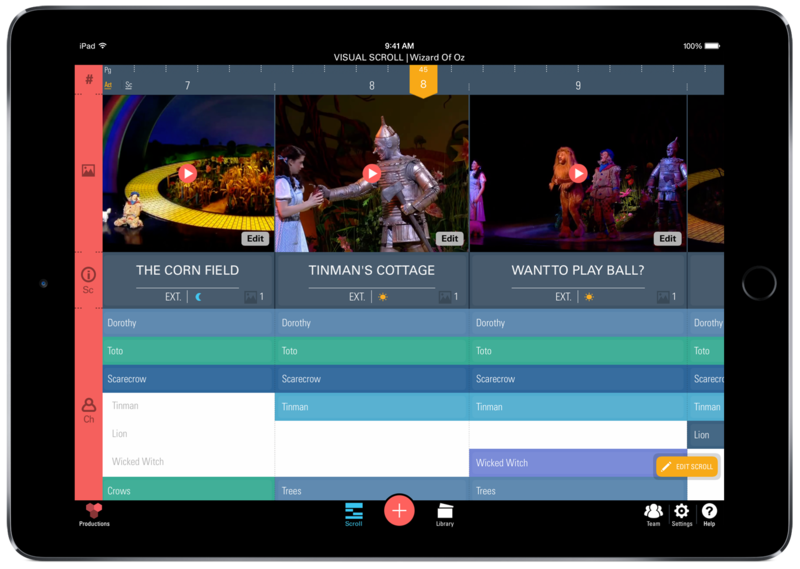 You're really happy with your Visual Scroll and all the stuff you get to put in it, but you need to reference the stage directions in the script you imported. So where is it? We understand how frustrating it is to have to scour physical script pages in search for that one bit in a scene, so we're taking you straight to where you need to be. To learn more, you can watch our video guide and/or check out our step-by-step instructions below. See that yellow focal point on the top bar? 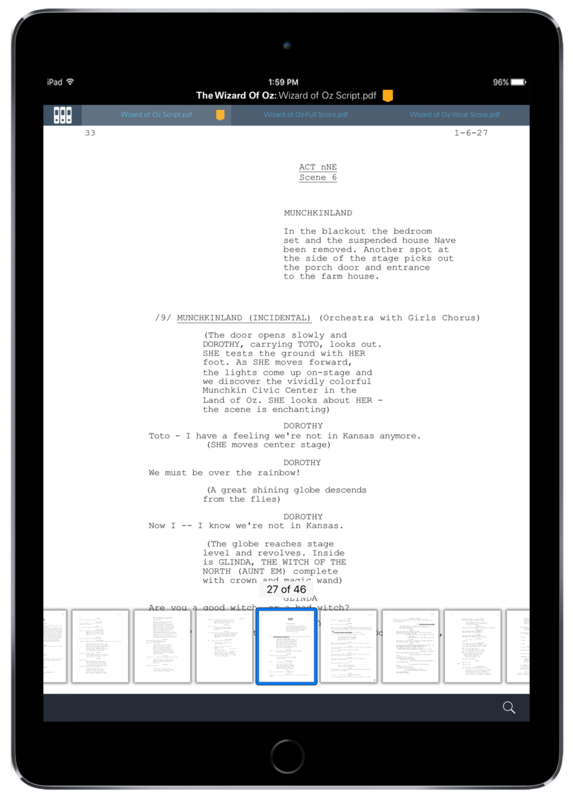 Move that to the Scene you'd like to reference in the script, then physically flip your iPad to portrait mode. You're now in your script, mapped exactly to where you were in the Visual Scroll. You may add new script versions or PDF documents to your binder as well. How do I add a new script or document to my binder?